Whisper happened to be thinking about blue things at the time. Plus it rhymes. The origin of the term 'Marine' dates back to the 16th and 17th centuries, when specially trained soldiers were assigned to sailing ships to help with boarding actions and protect the officers against mutiny. These marine soldiers developed a reputation for being particularly hardy and skilled, as necessitated by the grueling demands of life at sea. The Republic Marines in Crimson Dark are closer to these early Marines than the modern, cigar-chomping, smack-talking stereotype. They are heavily augmented to make them exceptionally skilled warriors and extremely difficult to kill, but U.T.C. law decrees that these so-called "Super-soldiers" may only be assigned to warships and military bases, and can only take part in defensive actions. The Republic Parliament has recently declared that preemptive strikes can be classified as 'defensive actions'. 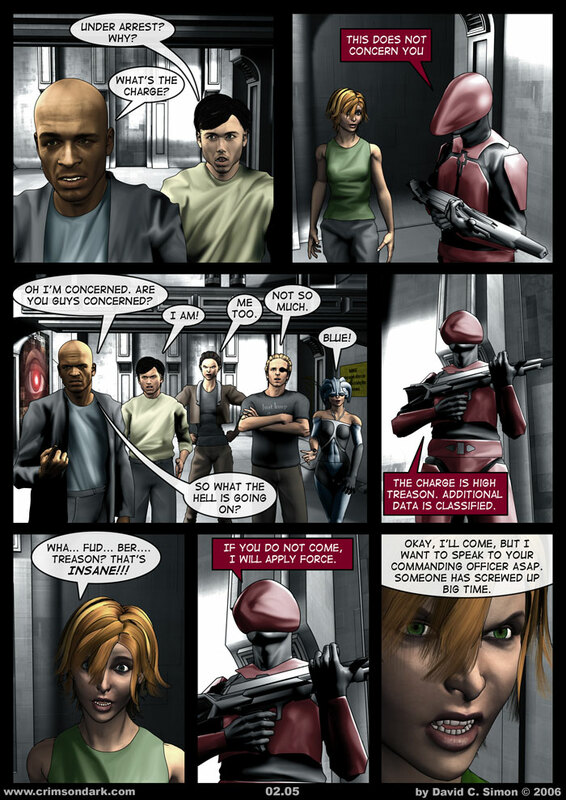 The Cirin Alliance has accused the Republic of breaching the Convention on Military Augmentations, but the U.T.C. has remained strangely silent on the matter. Marines are very expensive to train, augment and maintain, so it is rare to find a capital ship with more than six Marines aboard. Espenson Station, with a population of 10,000 souls, only has thirty Marines in addition to its regular security force.